Jakarta, 15th January 2019. 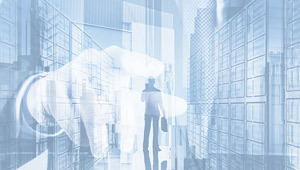 Regional management consulting firm SRW&Co. today announces the 2018 ASEAN Global Leadership Program (AGLP) Scholars. 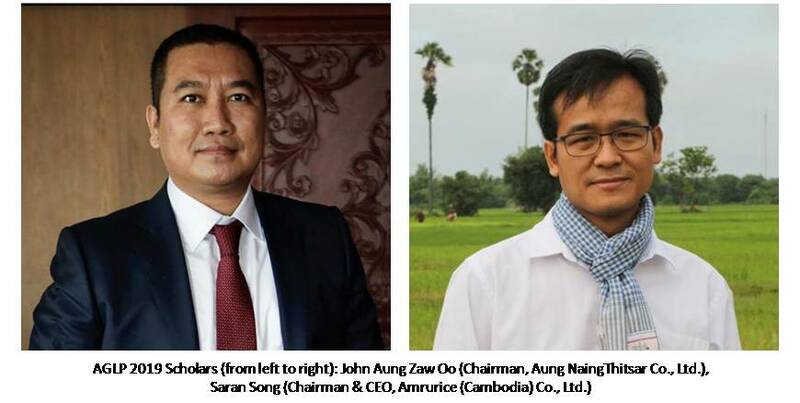 The recipients of the AGLP Scholarship are John Aung Zaw Oo from Myanmar and Saran Song from Cambodia. Both scholars are among the 2018 ASEAN Business Award winners who had applied for the coveted scholarship. SRW&Co. Chairman & Partner Daniel Wong congratulated the 2 Scholars on their success in winning the AGLP Scholarship. He said the scholars had undergone a very selective process of screening and interviewing in meeting the stringent selection criteria. The Scholarship Selection Committee also took into consideration the attitude and personal qualities of the applicants in the process of submitting the application and during the interview. The scholars are required to sign a scholarship agreement with the commitment to share their learning insights from the AGLP with their fellow countrymen among the other obligations. Saran Song said, "I am proud to receive this prestigious scholarship as the 1st Cambodian AGLP Scholar". "I will do my best to learn from the AGLP , and apply the knowledge and ideas to improve my company's business and to share the knowledge and insights with my fellow countrymen in our mission of developing a sustainable and inclusive business by transforming the small-holder farmers /producers to become successful SME entrepreneurs ", he added. John Aung Zaw Oo said he felt very honored to secure the Scholarship against the keen competition from the other qualified applicants. “I am really looking forward to attend the AGLP in a global business school to recharge my intellectual battery”, and “… to learn new leadership and managerial concepts and skills from the business school professors and other ASEAN participants who are very successful leaders in their respective countries”. “It will be a great opportunity for networking with my classmates too ”, he said. 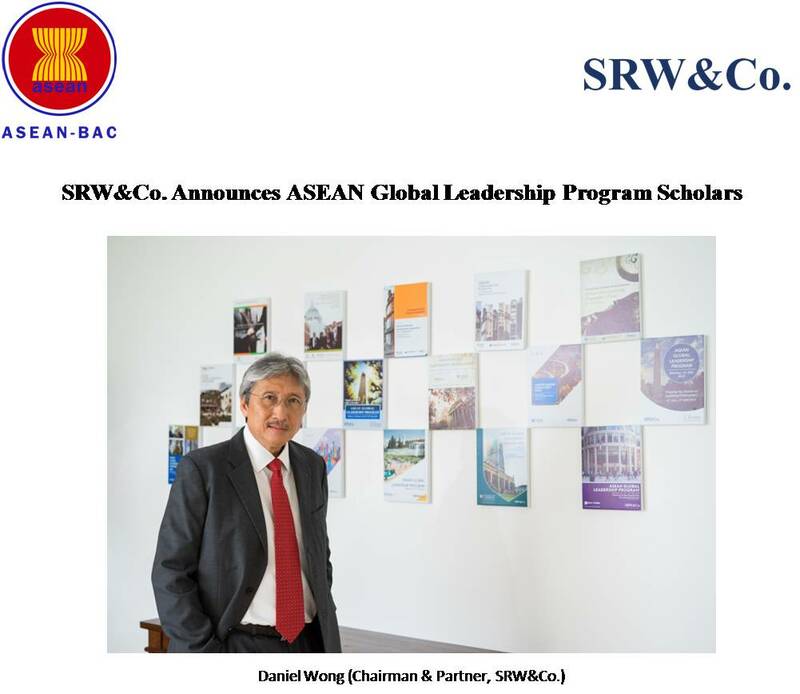 The AGLP Scholarship was launched by SRW&Co. as a CSR initiative in collaboration with the ASEAN Business Advisory Council in 2016. So far a total of 7 AGLP Scholars from the Asean countries had been awarded the scholarship to attend the ASEAN Global Leadership Program (AGLP) in a reputed global business school. Past AGLP Scholars had attended the AGLP in the UC Berkeley Hass School of Business and NYU Stern School of Business. The 2018 AGLP Scholars John and Saran will attend the AGLP in the London School of Economics and Political Science (LSE) in March 2019 (https://srwasia.com/europe) and the AGLP in Cheung Kong Graduate School of Business (CKGSB) in September 2019 (https://srwasia.com/asia).